#0121* – FARAGE SHOWS WHAT CAN BE ACHIEVED WITH UKIP TO HAND! Nigel FARAGE SHOWS WHAT CAN BE ACHIEVED WITH UKIP TO HAND!! I note that Nigel Farage has his new web site up and running a few minutes ago – it looks like Chris Mounsey is back on the payroll – at least he doesn’t make a fool of himself with his insecure showing off that he has made and trashed his name with. A pity he tried to be a serious commentator of which he is more than capable but completely blew it with his childish foul language and over the top displays of insecurity. I must say he has come a long way in web design and this site he registered for Farage is clean, user friendly, modern and straightforward. Would that Farage could live up to it but it is the same old stale sandwick wrapped up to try and make it look fresh and that it does but with the leadership in place and the resources of the party at ones disposal can we be ssurprised someone has designed a fresh packaging whilst he dashes off to Berlin to promote his Pan EU Political Party agenda with a talk at The Reinbeckhalle in Berlin. Do remember that it was Farage, ably assisted by Croucher who did so much to raise the profile of The BNP resulting largely in 2 BNP members being elected as MEPs. Farage went on to associate the good name of the members of UKIP with membership of The EFD a vile collaboration of some of the most extreme and unpleasant politicians in modern EUropean politics Racists, anti Jewish, Homosexual intollerance, holocaust deniers and Nazi supporters with criminal records and violence towards children and foreigners as part of their track record. 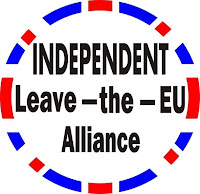 Farage Chaired this group having sold out on the principles of most UKIP members and justified the badge of BNP in blazers putting Mark Croucher in position to further demean the members as media spokesman for the group promoting their policies. Whether it is a promise on Meridian TV in 1999, to publish open, transparent accounts, or a promise no elected member of UKIP will employ family or the promises to integrity – under Farage’s leadership there has NEVER been an honest fair election. Farage seems to think promises are like marriage vows or principles, namely to be broken when it suits or ‘traded’ for personal gain. Just check the track record! Is there an honourable action that has not been foregone? £Millions seem to have gone missing. Members are terrorised for questioning or asking. MEPs are barely challenged in massive frauds. OLAF is usually investigating more UKIP MEPs than not. The leadership lied, dissemble and distort to damage those that may challenge. The Vision and aim is all too clear TO FIGHT ELECTIONS – Why? It all looks hideously like a self enrichment scam for a Farage claque! Sadly – No nothing has changed in 2010’s election! To view a great deal more about Nigel Farage and links to his New Leadership Web Site – which mostly shows what he has promised every time in the past but has failed to deliver.